B1854. 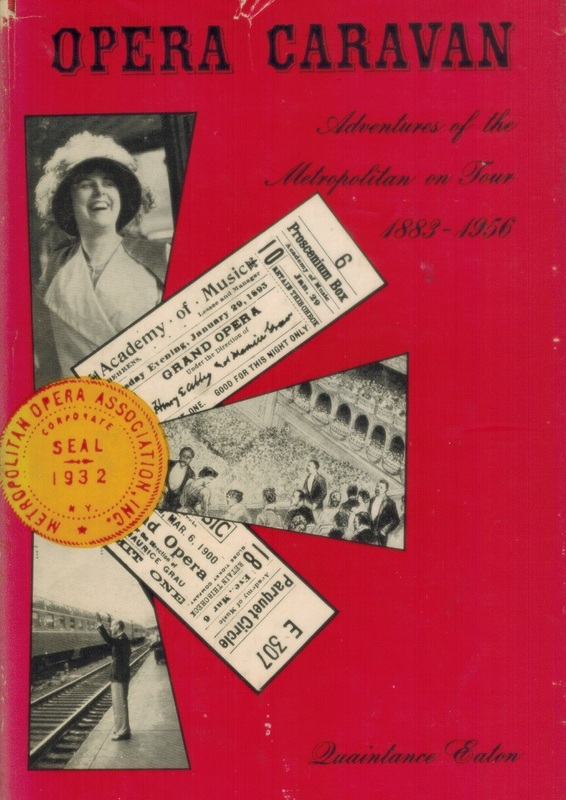 OPERA CARAVAN, Adventures of the Metropolitan on tour, 1883-1956 - Metropolitan Opera Tour Casts, 1883-84; 1956. 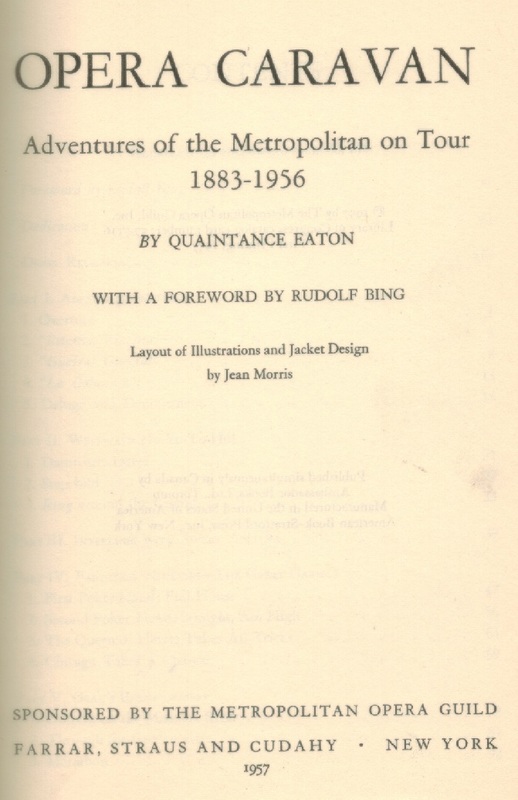 Quaintance Eaton. New York, Farrar, Straus, 1957. 400pp. Index; Photos; DJ.